The upcoming Geneva Motor Show will definitely be too shiney with the cars coming to hit the stage like Audi R8 facelift, Bugatti Veyron last model, Ferrari 488 GTB and others as well. In addition to this, there will be a few cars and concepts will also come to join the ball like Nissan, Renault and Rolls Royce as well. 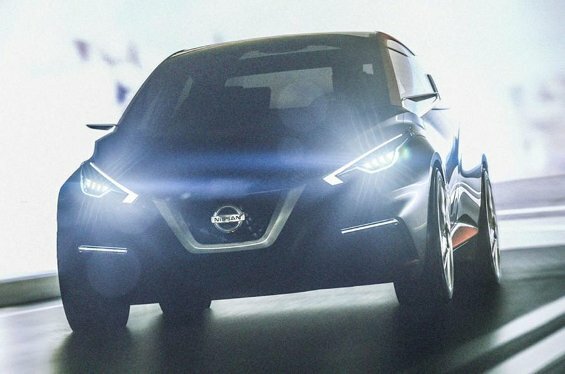 However, we're here to let you know that the Nissan will be coming to the show with its Sway concept car that would be the base for the upcoming Nissan cars. The company is also popularizing this car as the next generation Micra which is soon to get an update in the European car market. The company also released a statement that “Sway concept is a glimpse at how a future generation of small Nissan models could look if the company 's striking new design language was applied to a European hatchback.” Coming to Micra, the car is about to get the update in 2016 for Europe and would definitely get some tweaks from this Sway concept as well. While we talk about the Indian market, then this next generation Sway concept based Micra will not be seen on the Indian roads and will continue to be developed on the current V-platform. However, sooner or later, it might come to India as the market is growing insanely since last couple of years.